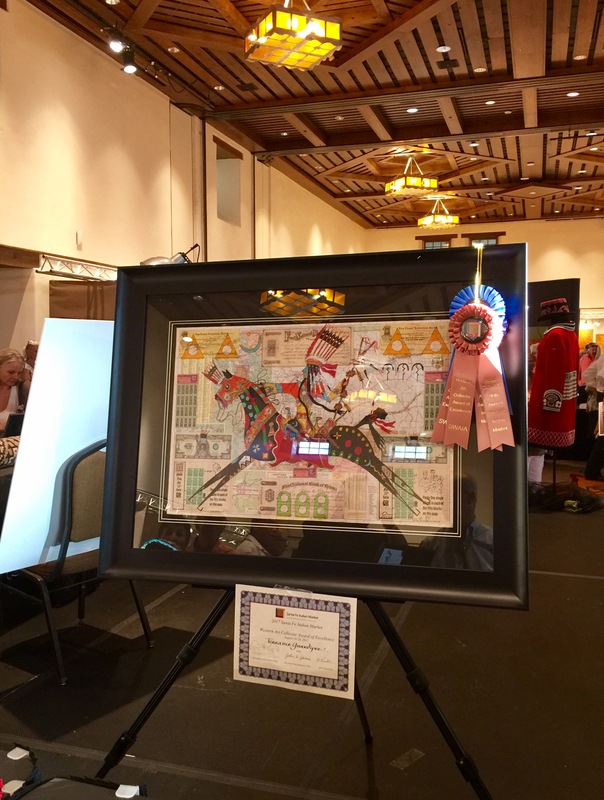 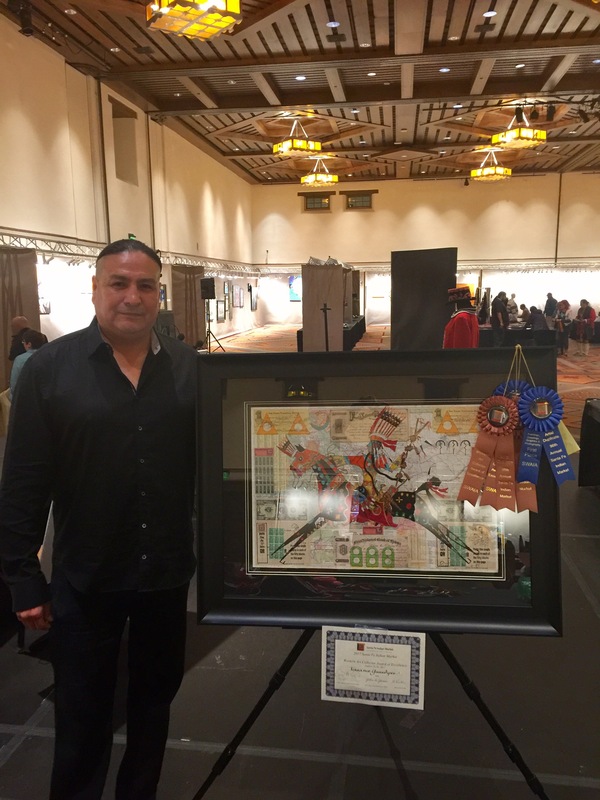 SWAIA awarded Terrance First Place in the Ledger Art category at the 96th Annual Santa Fe Indian Art Market for his “Running Eagle” ledger map collage concept. 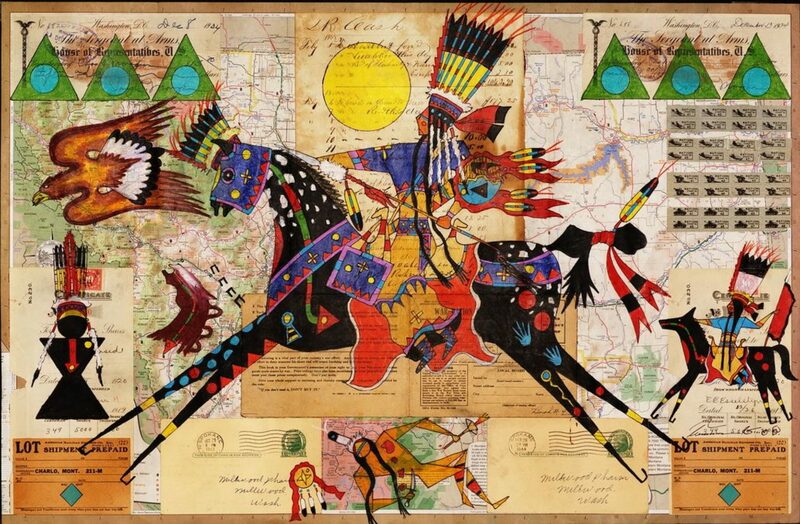 SWAIA also recognized Terrance’s “Running Eagle” with the Western Art Collector Magazine award. 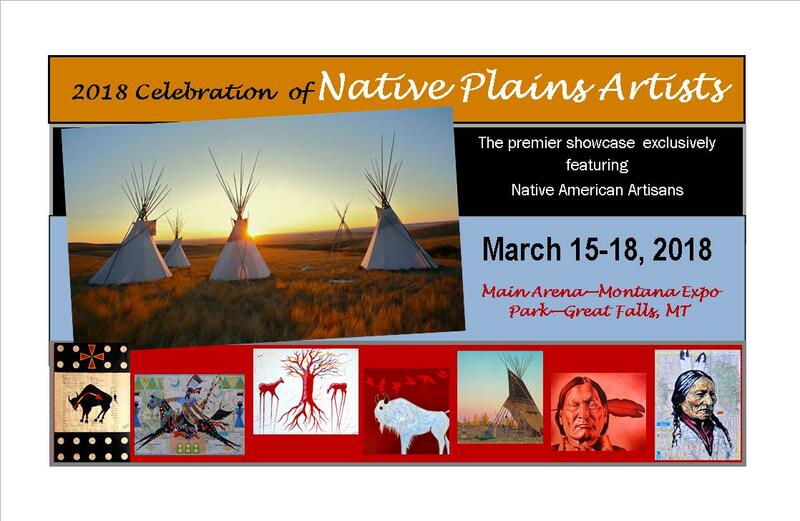 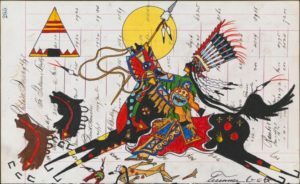 Cowboys & Indians current expose on ledger art, “New Accounts on Old Paper: Modern Ledger Artists Explore Tribal Life By Resurrecting a 19th-Centruy Art Form,” features Terrance Guardipee’s ledger art.